A 6.32 oz bottle, that is! 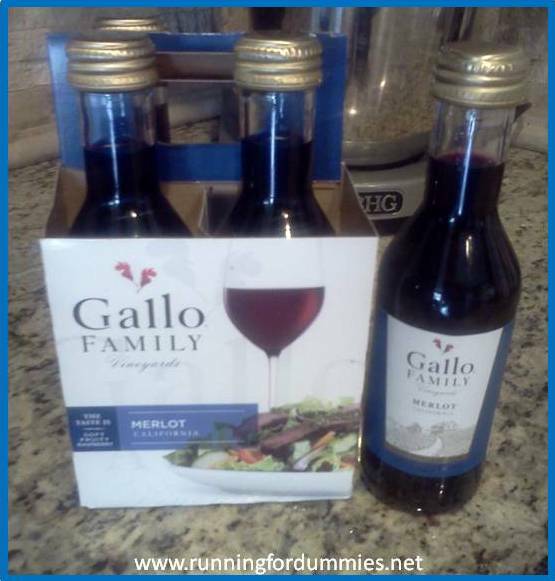 Have you seen these 4 packs of mini wine bottles portioned by the glass? This is my latest greatest discovery. I work hard to maintain a healthy lifestyle. I exercise, I eat whole natural foods. I avoid sugar, processed foods and alcohol on a regular basis. However, I am a true believer in balance and I enjoy a couple of indulgence meals every week. I like to enjoy a glass of red wine occasionally, but I never want to open a new bottle of wine for just one or two glasses, especially when I know it will go bad before next weeks indulgence meal rolls around. This is the perfect solution! I open up a bottle which equals one glass, and the other three glasses are nicely sealed and waiting for the next time. Of course, there have been times when I opened two bottles in a row, for two glasses, but that is exactly the beauty of it. You can always have as much or as little as you want. 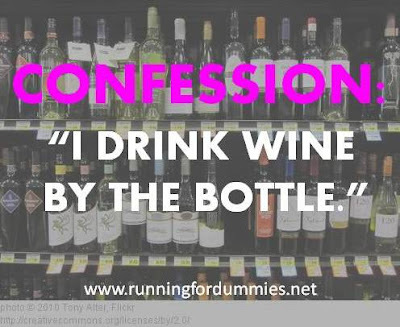 Plus it keeps me honest about what one glass of wine really looks like. This guy is saying, "What? My Dr. told me to limit my wine to one glass a day." Built in portion control. Genius! I do the exact same thing! Works great !! I love pre-packed portion control. Keeps me honest.